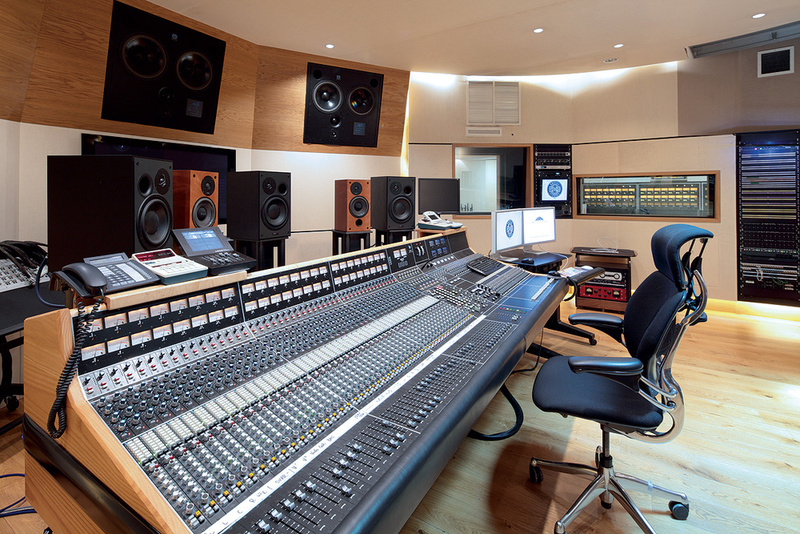 The control room of Studio 2 is centred around an API Legacy console that has been modified for surround work. Mark Knopfler's British Grove studio complex, named after its location in London's Chiswick neighbourhood, is one of very few large studios in the world to have been constructed in recent years. 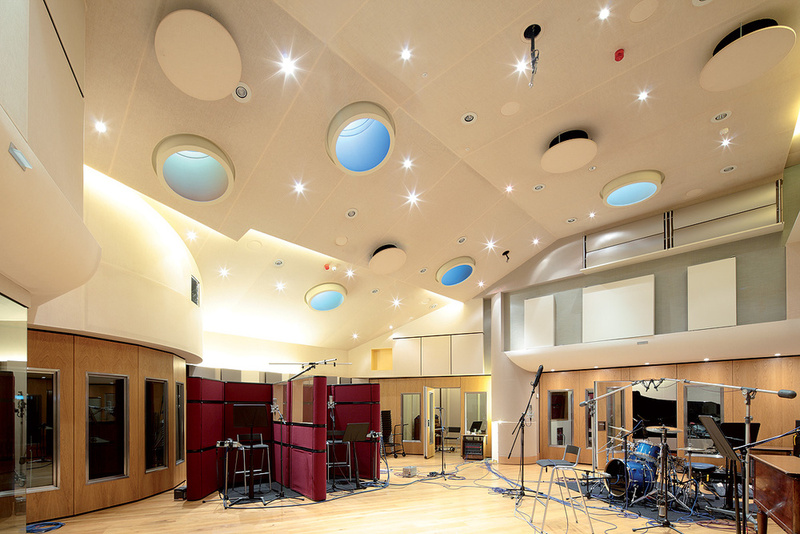 When the team around the Dire Straits lead singer, lead guitarist and solo artist began their search for an appropriate space, the main criterion, according to studio manager David Stewart, was to "find a room with double-height space, a big live area”. Eventually, in 2002, they found a space which was built as a dye works for a laundry in Victorian times. The main part of the premises became the offices of Chris Blackwell's Island Records in the early '70s, and the section of the former dye works which is now home to British Grove Studio 1 was once occupied by Island's final record store. Prior to its involvement in the music business, it also served as a warehouse, a wood workshop and a print room. 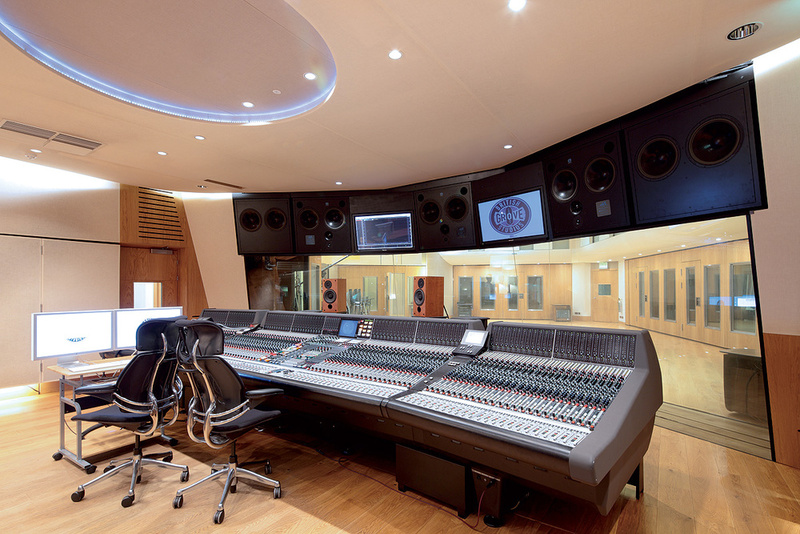 Studio 1's control room is based around a massive Neve 88R console. The REDD.51 console is the only example of the model known to survive anywhere in the world. 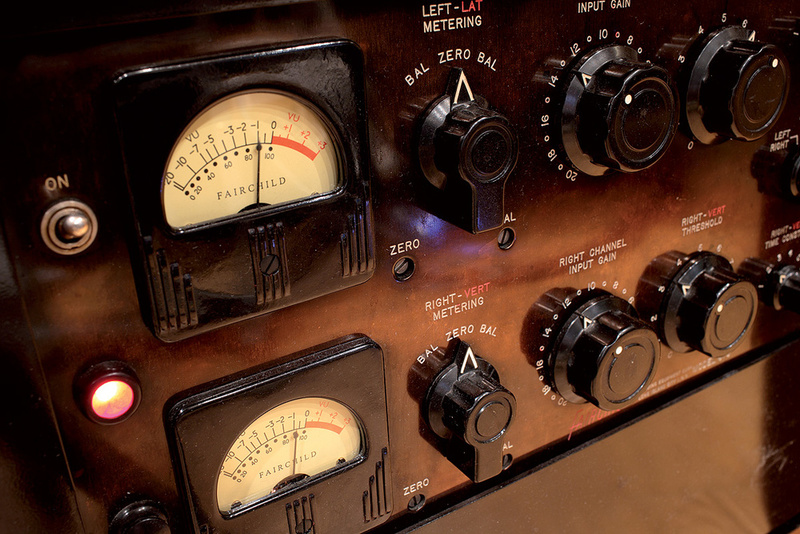 A beautiful Fairchild 670 in the control room of Studio 1. Modern classics from DAV Electronics and GML. 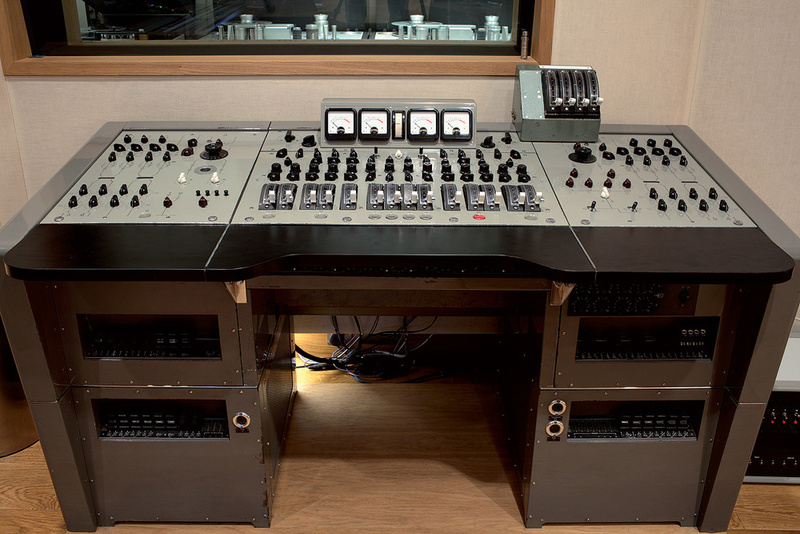 The studio's EMI TG12345 console, originally commissioned for the EMI studios in Lagos, Nigeria. A close-up of the REDD.51 desk showing its simple but effective channel EQ. The process of turning the premises into a recording studio took no less than three years. The entire structure was rebuilt from the ground up, including many visible — and perhaps even more invisible — changes. The floor throughout is completely flat, without any raised thresholds through the doors, allowing heavy equipment such as tape recorders to be moved easily through the entire facility. The aim was to build an environment that would be as quiet as possible, and great care has been taken to isolate the studio against outside interference such as ambient noise and electromagnetic radiation. As Stewart explains, the structure is shielded with 3mm-thick sheet-steel in the ground and outside walls, underneath the studio and running up all the perimeter walls, and similar isolation has been applied internally to the machine room and another room housing electrical equipment such as power supplies. The studio runs on filtered, balanced mains power, and is laid out in such a way that there is no high-voltage mains anywhere in the studio areas, except from the technical mains for the audio equipment: all lighting is supplied with 12V generated by power supplies in the shielded electrical equipment room. 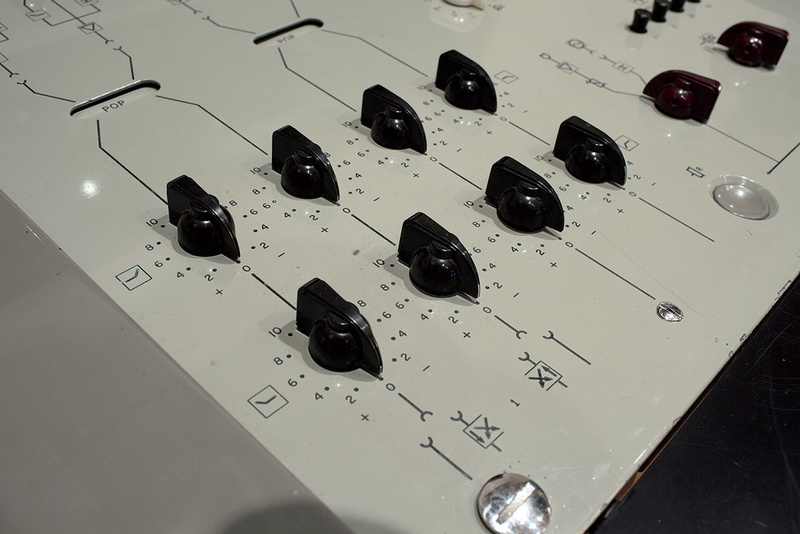 With an appropriate earthing scheme in place, all these measures guarantee that the studio's precious analogue equipment can operate to the best of its capacity. In equipping the studio, Knopfler's aim, as David Stewart put it, was to combine "the best of old with the best of new”, and the equipment collection does indeed offer the best of both worlds. 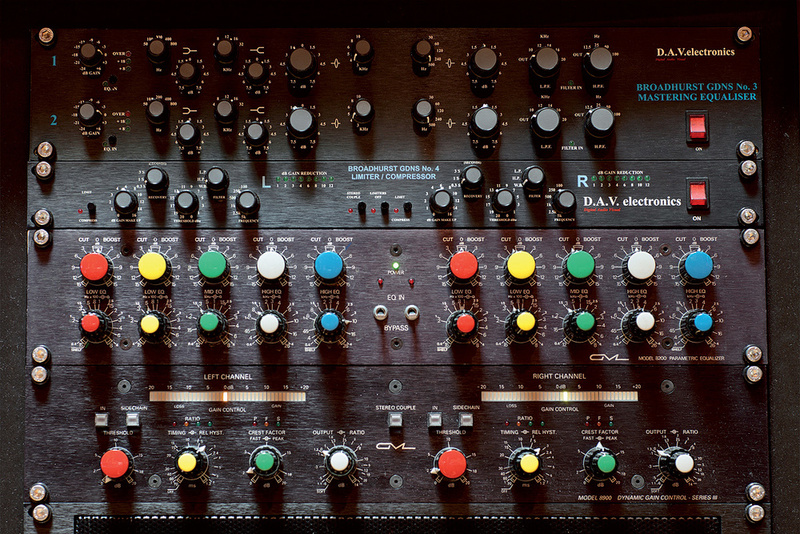 Studio 1 is equipped with a Neve 88R console, while Studio 2 employs an API Legacy which has been modified for surround mixing. In addition, there are two further desks with considerable historical importance. 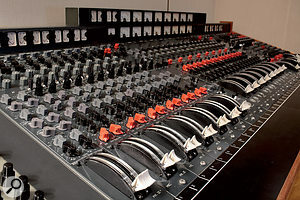 British Grove owns not only the EMI TG12345 console that was built for the EMI studios in Lagos, Nigeria, and famously used for the recording of Wings' Band On The Run album, but also another sound board with, arguably, even more historical significance. 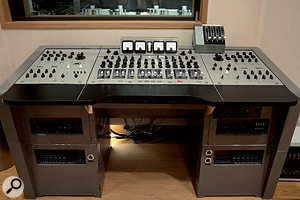 The EMI REDD.51 console was originally employed in the EMI studio in Milan, Italy, and, being a location desk, it can be reasonably assumed that it was also on duty in the La Scala opera house, perhaps even for Maria Callas's recordings. Furthermore, it is the only example of this model known to have survived. The outboard collection at British Grove includes coveted studio standards such as Fairchild 670 limiters, various types of Pultec EQ and vintage Neve channels, GML 8200 and 8900 units, but also more unusual items such as Altec 436C and 1591A compressors. 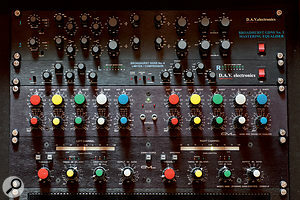 On top of that, the studio's machine room boasts no fewer than six Studer A800 multitrack recorders, all of which have been completely recapped and rechipped — a tremendous mainenance effort, as Stewart recalls. He did not seem keen to give away too much information about the studio's microphone collection, but he explained that the Decca Tree in the large live room of Studio 1 can be equipped with three Neumann M50s, which should be enough evidence that the mic locker is filled up with a number of more-than-adequate sound transducers! Although Mark Knopfler has been using British Grove for his own work in recent years, such as his albums Kill To Get Crimson and Get Lucky, as well as his collaboration with Emmylou Harris, the studio is not a private facility at all: it can be booked just like any commercial studio. As well as winning a significant amount of scoring and mixing work, British Grove has built up an impressive pop-music client list which includes, amongst others, artists such as Nick Cave, U2, Roger Waters, Sting, Razorlight, Kaiser Chiefs, Jamie Cullum and Goldfrapp.